Hi! Everyone, I like sims since sims 1 (yes I'm old lol), I love to write stories with the sims even if I don't have much time anymore. 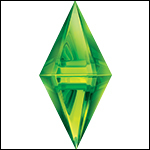 My favorite sims are S2 & S4 Sorry for my english, i'm not very good with it. Welcome to the forum! I hope you like it here. Tell us a little about yourself Where do you share your stories? You're welcome to share them on the forum.